Hey Readers !! 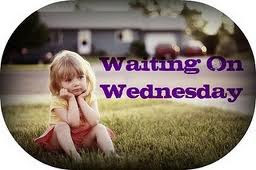 "Waiting On" Wednesday is weekly meme hosted by Breaking the Spine . This spotlights upcoming releases that we're eagerly anticipating. Life is good for Maura Corrigan. Married to her college sweetheart, Pete, raising three young kids with her parents nearby in her peaceful Chicago suburb, her world is secure. Then one day, in a single turn of fate, that entire world comes crashing down and everything that she thought she knew changes. Maura must learn to move forward with the weight of grief and the crushing guilt of an unforgivable secret. Pete senses a gap growing between him and his wife but finds it easier to escape to the bar with his friends than face the flaws in his marriage. Meanwhile, Maura's parents are dealing with the fault lines in their own marriage. Charismatic Roger, who at sixty-five, is still chasing the next business deal and Margaret, a pragmatic and proud homemaker, have been married for four decades, seemingly happily. But the truth is more complicated. Like Maura, Roger has secrets of his own and when his deceptions and weaknesses are exposed, Margaret's love and loyalty face the ultimate test. 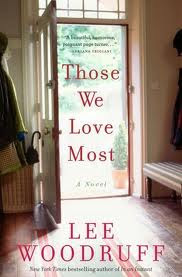 Those We Love Most chronicles how these unforgettable characters confront their choices, examine their mistakes, fight for their most valuable relationships, and ultimately find their way back to each other. It takes us deep into the heart of what makes families and marriages tick and explores a fundamental question: when the ties that bind us to those we love are strained or broken, how do we pick up the pieces? Deeply penetrating and brimming with emotional insight, this engrossing family drama heralds the arrival of a major new voice in contemporary fiction. It's Monday !! What Are You Reading? My Poem: "Let Me Dream"